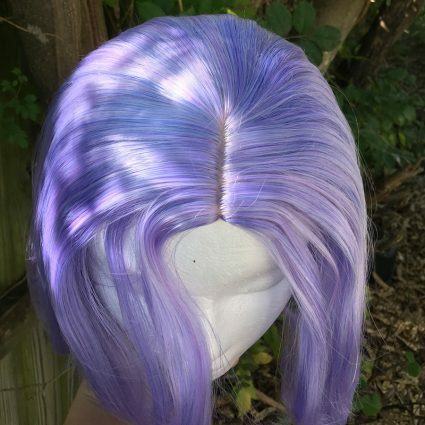 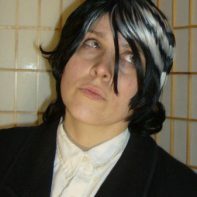 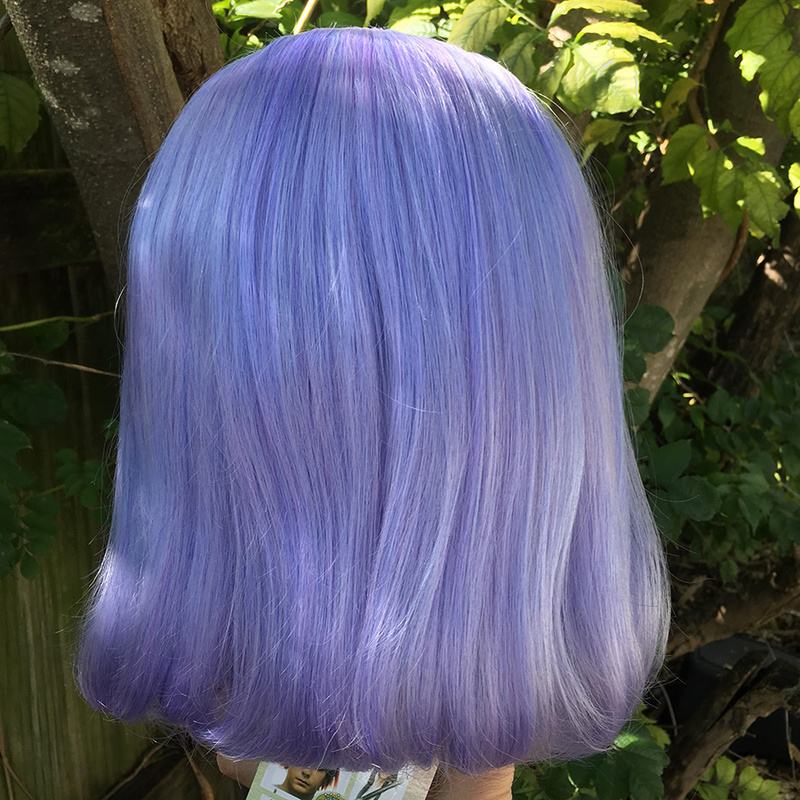 This sleek violet wig is all the rage for alternative track Pokémon trainers, sons from the future, mutant renegades, 80s icons, and pastel avengers. Curls and straightens easily, and can be washed and styled with ease. 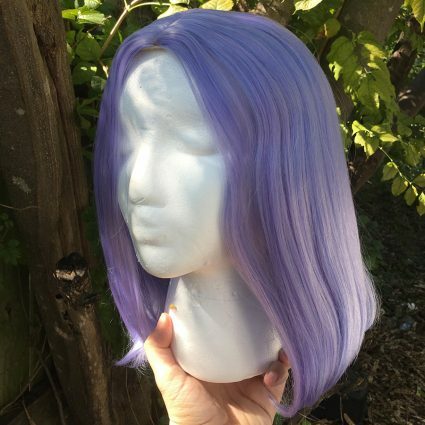 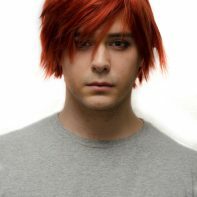 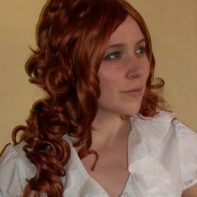 While this wig is heat resistant we recommend against electrocuting it, blasting it out of a comically large cannon, having cosmic fights on the moon or most planetoids while wearing it, or attempting to go super saiyan while the wig is in place.